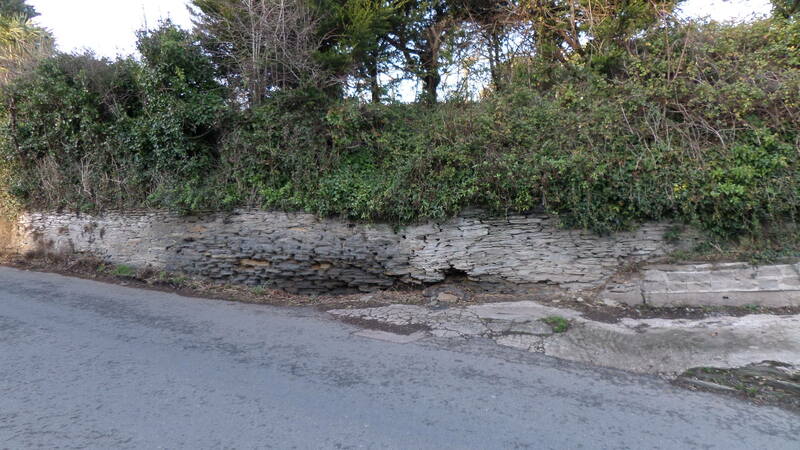 The retaining wall along the sloping driveway up to the Grade II listed Chapel Cottage was showing signs of movement and was deemed unstable and in danger of failure. 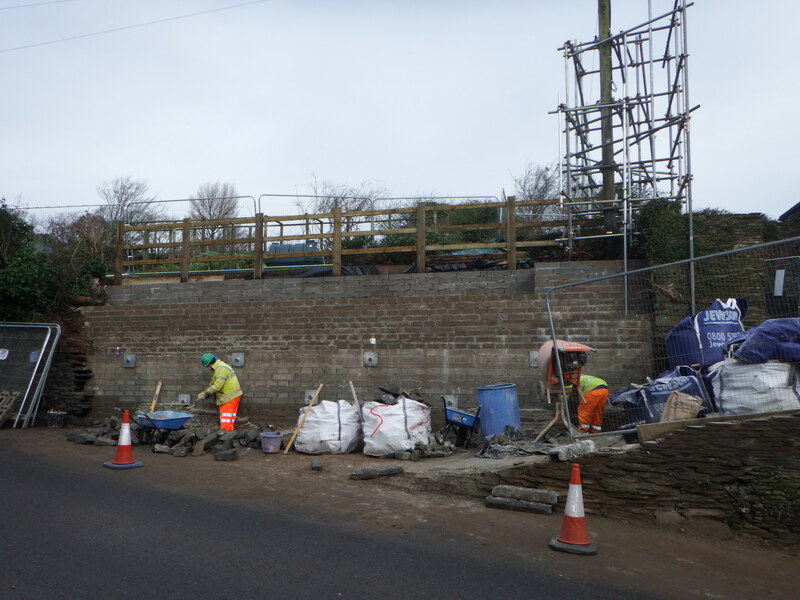 Located along the A379, any works needed to be approved by the Highways Authority. 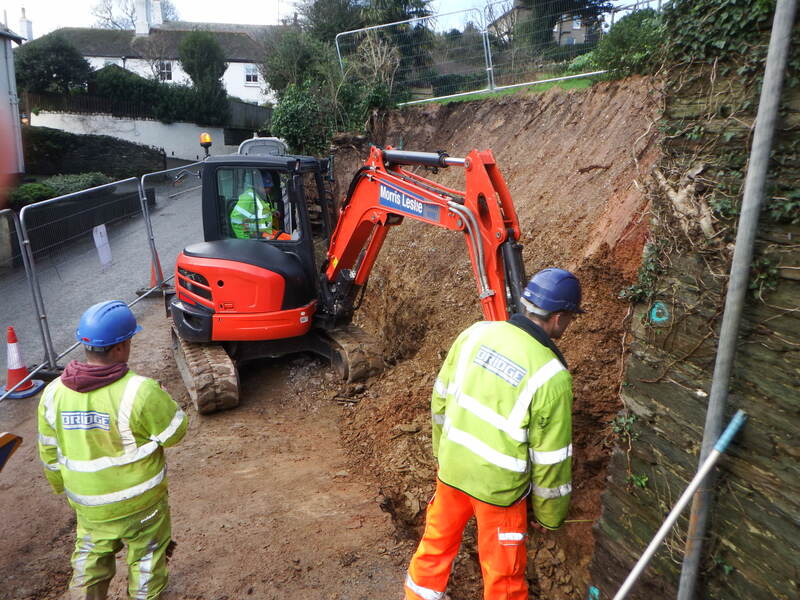 Further complications included an oil tank and telegraph pole above the retaining wall. 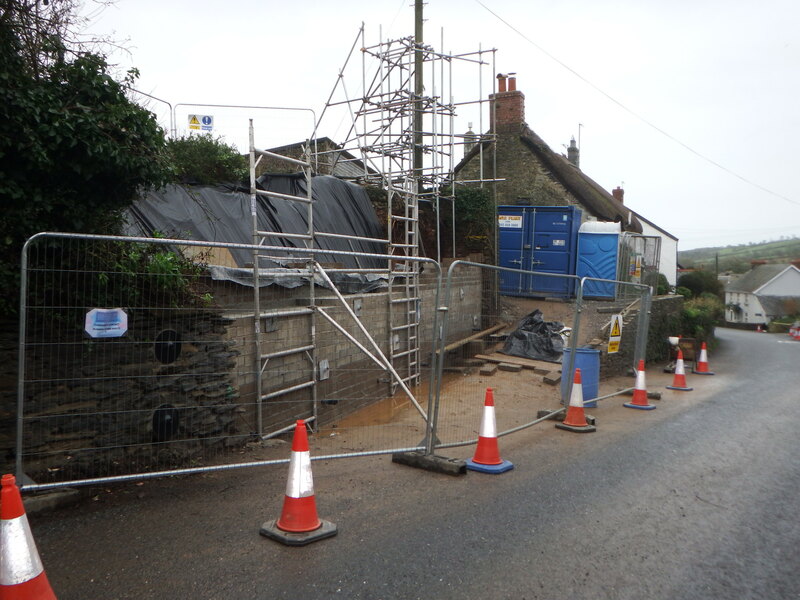 The wall was made safe with temporary support until the busy summer season passed, the telegraph pole was supported with scaffolding and the oil tank relocated before works began. 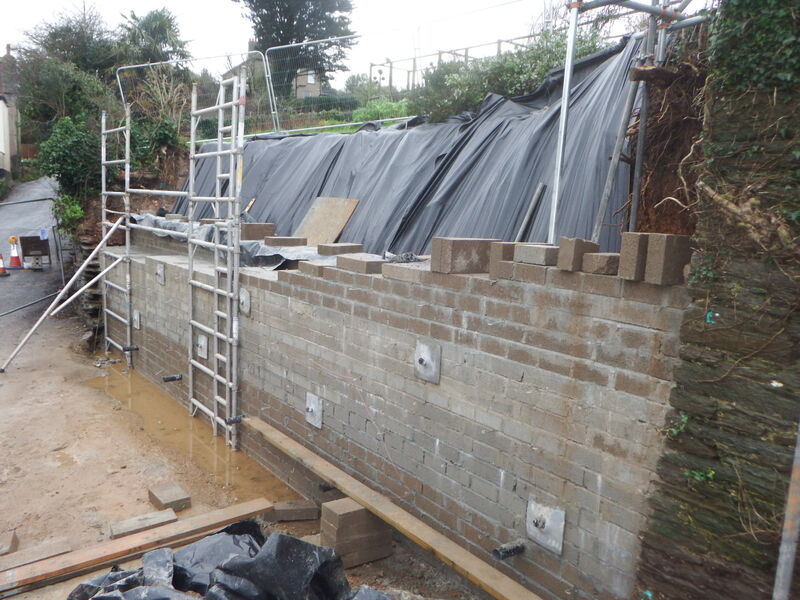 To minimise the amount of excavation required, a rock anchored blockwork retaining wall was constructed on an anchored reinforced concrete beam foundation. Terracing walls were built above and the garden reinstated. 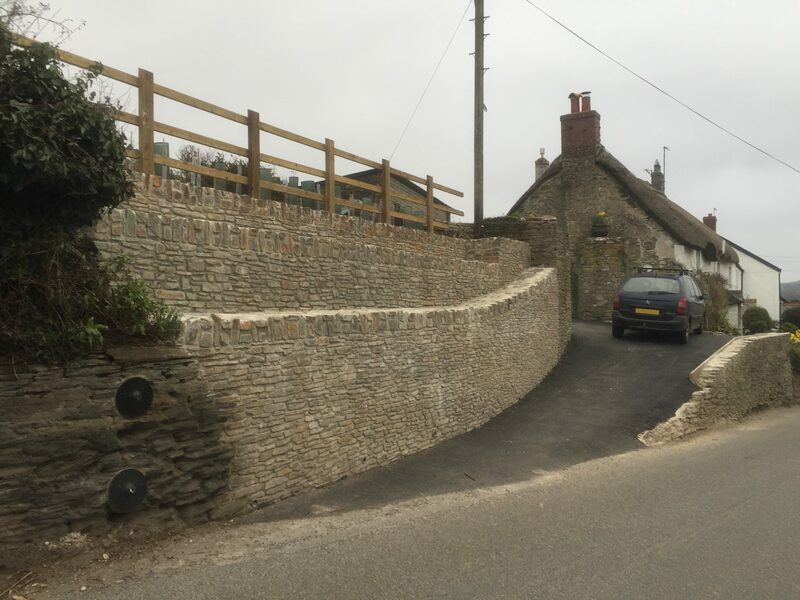 The wall was stone faced to match the surrounding stonework and the existing wall which abuts the new section was also anchored.